Super Mario Galaxy is nearly here! To celebrate I've decided to make a small article detailing some of the game's mechanics and show off some gorgeous screens. Mario Galaxy hits the shops November 16th, make sure that you've burnt a big hole in your calendar for this day, not that you'll need that to remind you, you've probably been muttering about it in your sleep. Super Mario Galaxy looks set to be a return to form for the gaming legend with loads of new power-ups, gorgeous graphics, innovative ideas and some subtle retro elements. In the most unpredictable plot-twist of the century, Princess Peach has been kidnapped! Shock, horror! Anyway, tubby Mario sets out to rescue her and probably becomes the first plumber in space. 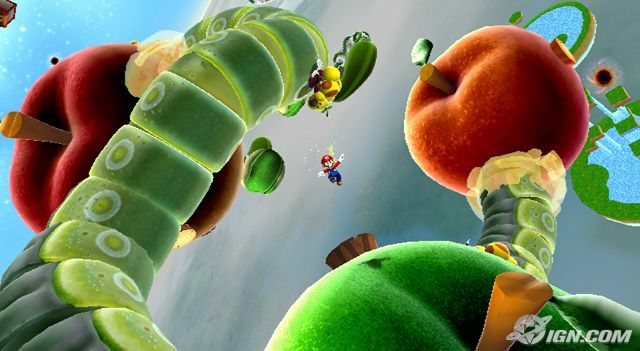 In this game Mario is rocketed from planet to planet with the aid of a few different kinds of transport. A Star Ring blasts you huge distances through space in order to reach new planets. Pointing your Wii Remote at a Capture Star and hitting 'A' will pull Mario towards it. On one mission you have to release a star from a ball, you have to leap on top and roll it along. Mario + Monkeyball = Awesome! Everyone loves bubbles! Sometimes Mario can be trapped in one, you have to blow the air to make him float. DON'T BURST IT! There are plenty of new and returning enemies! 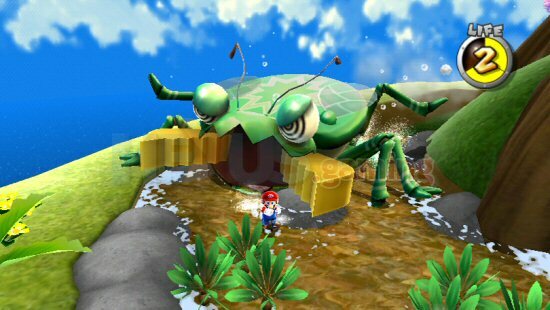 You can brawl with a Goomba on steroids, smash Dry Bones, fight a giant Petey Pirahna, destroy Magikoopa, quarrel with Baby Bowser in an airship and much, much more! Let's talk power-ups! There are plenty to get you through the game but I'll be covering the Bee and Boo power-ups. You'll first encounter the Bee power-up in the Bee Kingdom. This gives our prtly plumber some wings and a stripey abdomin. He can fly for short periods of time and cling to walls. 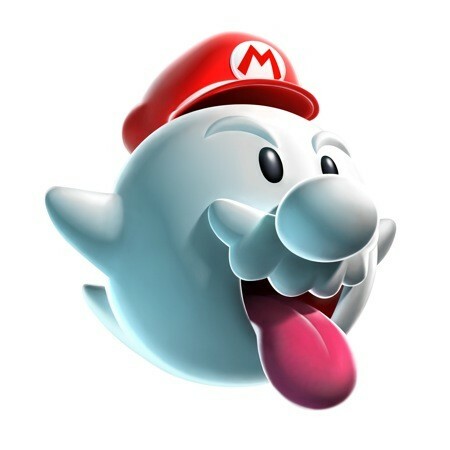 The Boo power-up gives you the powers of invisibility and the ability to walk (or rather float through walls).